Stand Up Paddle boards with GT technology are easy to handle and provide amazing versatility due to their many uses. 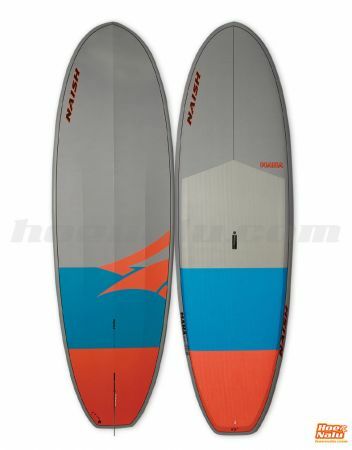 This technology adds a lot of value to Naish's shapes and sizes. 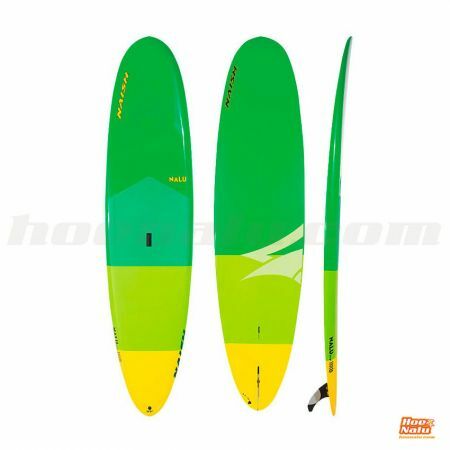 They are suitable for begginers, touring and flatwater. Naish´s GT technology construction begins with a molded EPS core, where the outer cells are closed by the heat during the molding process. This adds extra resistance against leakage. The EPS core is covered by a fine Fiberglass layer protecting the core and working as the link between it and the wooden Sandwich covering the board's deck and bottom. 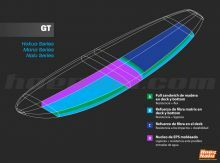 In Naish´s GS manufacturing process, a wooden layer covers both the deck and bottom also involving the Rails, in order to get a longitudinal crossbar effect that provides rigidity to Naish´s GT boards. 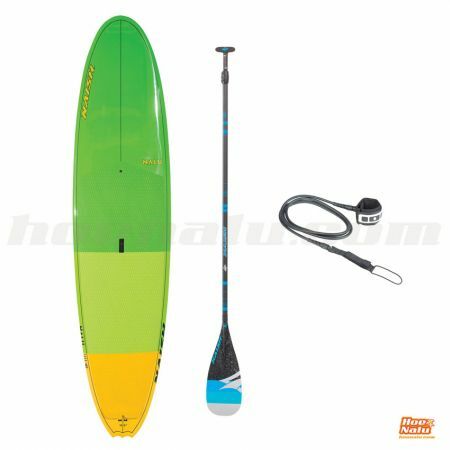 Naish GS SUP boards are covered by an outer fiberglass layer that seals the wooden layer and maximizes impact resistance. 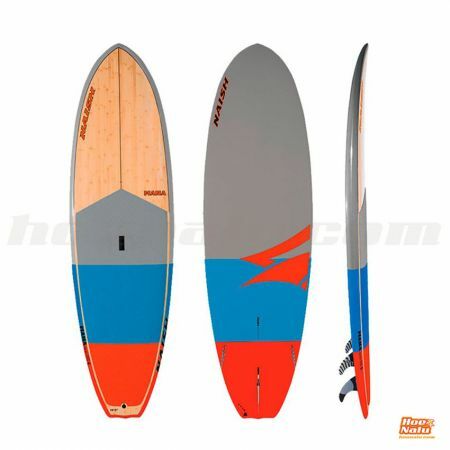 A double Fiberglass layer at the bottom of Naish´s GT Paddle Surf boards grants them extra rigidity. High-resistance technology due to full fiberglass coating. Light wooden reinforcements at deck and bottom. The whole bottom side coating is made out of double Fiberglass layer.